Access difficulty: In order to reach the ruins you need to overcome a two - meter climb. Besides that, the road is straight. Brok lies between Ostrowia Mazowiecka and Łochów. The easiest way is to reach the castle setting out from that second place. Then you should direct northwards, down the road no 50 for Brok. There turn right, into the road no 694 for Ciechanowiec. 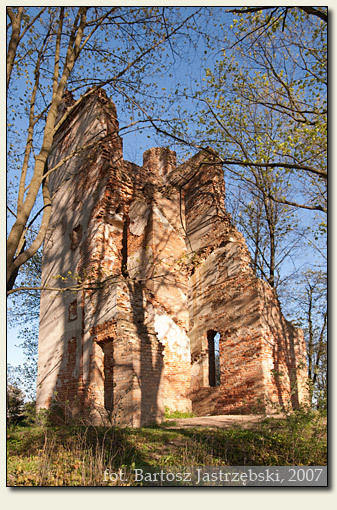 After covering around 2 km the ruins will be visible directly opposite, on the left side of the road. The building of the castle in Brok from the beginning of the XVIIth cent. is attributed to a primate Henryk Firlej. 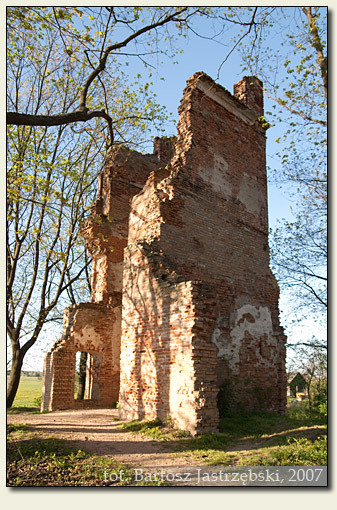 The structure was very quickly destroyed by the Swedes, and its reconstruction was not started till 1717. 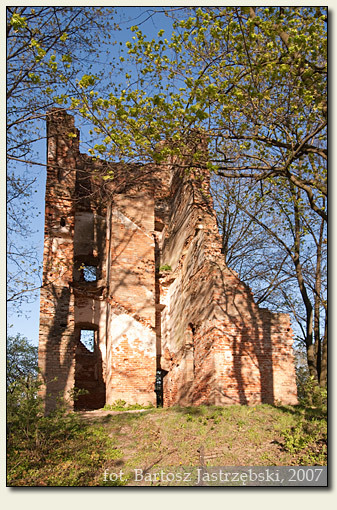 However, already in 1831 the castle burnt down and since that time it has remained in ruin.